As the digital landscape for businesses becomes more competitive, it’s nearly impossible to gain any traction online without concentrated efforts towards digital marketing. It’s become a fact of life, that almost every business – no matter how big or small – must at some point invest in a digital marketing strategy if they want to thrive. While some smaller operations will attempt to handle digital marketing on their own, and be reasonably successful at it, more and more businesses realize that the process is far too complex and time-consuming not to hire a dedicated professional. As these businesses realize that there are enormous benefits to either bringing a digital marketing professional onto their team or outsourcing their marketing responsibilities, we can expect career opportunities for this field to flourish well into the next decade. Does this mean that you need to head back to the university to earn a specialized degree? Not at all. It’s possible to gain all the skills you need to help businesses grow and propel them towards success by taking the appropriate courses and earning a digital marketing certification. Taking this one step could be the best thing you can do for your career, and here are a few reasons why. Most people are familiar with the concept of marketing. 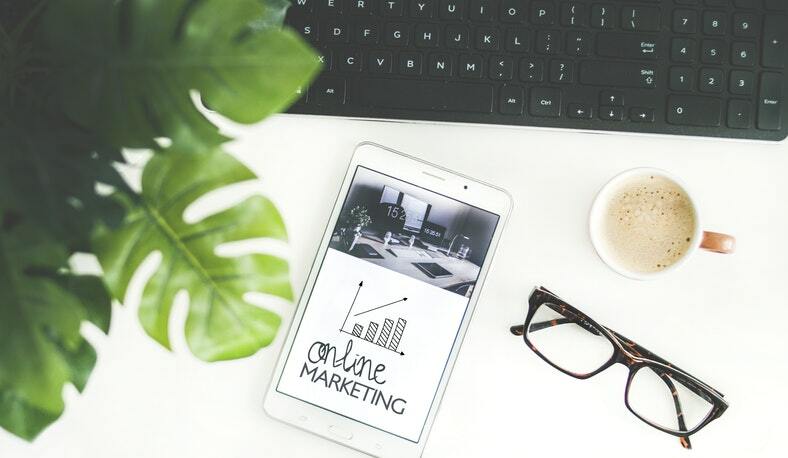 Digital marketing has the same end goals – such as increased visibility, more traffic and a boost in revenue – except it’s more narrowly focused on strategies to accomplish all of this by appealing to consumers online. It might sound simple, but digital marketing is actually quite complex. Becoming masterful at it requires an understanding of the many elements that play into a digital strategy, along with the ability to analyze data and the flexibility to quickly adapt to constant shifts in algorithms and digital consumer behaviors. To give you a base level idea of what digital marketing encompasses, professionals in the field are experts in search engine optimization (SEO), mobile marketing, content marketing, brand building on social media, pay per click ad strategies (PPC), web design, video marketing, email campaigns, and more. The list is long, and as technology continues to advance, it becomes even more critical for businesses to be able to reach out and engage with their audiences online using the most current, most robust performing strategies. What Skills Does a Great Digital Marketer Bring to the Table? While achieving a digital marketing certification can only enhance your career, it makes sense that you want to know if the industry is a good fit for your current skill set, natural abilities, and professional disposition. Honestly, digital marketing is a field that is well suited to many types of people. However, there are few core talents that the best in the industry seem to share. For example, you’ll need at least a basic level of tech savviness. Considering that the industry is driven by technology, digital marketers who have a handle on modern technology and feel comfortable with it have a major advantage starting out. This isn’t to say that a technological novice should push aside their digital marketing career aspirations. Instead, this person would only need to put a bit more effort into learning the basics of coding, common software, digital tools, and web design. The best digital marketers also have a natural curiosity and intuitive approach to building brands. There are plenty of analytics and consumer data that are leveraged in creating a digital strategy and measuring its success. The ability to look beyond the numbers and dig into the “why” is an important skill that can’t always be taught. Finally, digital marketers need to have an unyielding desire to learn and grow with the industry continually. Not only is technology constantly changing, but those in the industry also have to be able to learn and adapt to changes, like search engine algorithm updates, changes in social media platforms or shifts in consumer behaviors. Of course, there’s also all the hands-on, technical skills involved in a career in the field, but a top digital marketing certification course can easily take care of this aspect. Depending on your career goals, there are multiple ways that you could find yourself employed as a digital marketer. There are those out there who are self-taught and just happened to stumble into the perfect opportunity with a growing business. There are also those who focused on marketing at the college level with the goal of immediately entering the field. For the rest of us, the path is a little different. Digital marketers have a variety of educational and professional backgrounds. For some, a certification is a complete change in the direction of their careers, while others use it as a stepping stone to further themselves along with their current professional path. Either way, the benefits of a digital marketing certification course are numerous. To illustrate, here are just a few. Are you ready to learn more about what a digital marketing certification can do for your professional outlook? We encourage to explore and learn more about the industry and then turn to Simplilearn when you’re ready to take that first step to earn a professional certification. We feature digital marketing courses and certification options for every skill and experience level. With opportunities like our Digital Marketing Certified Associate and the Advanced Search Engine Optimization Certification Program, we can help you find the perfect course for your career goals. Contact Simplilearn today to learn more.